Police in Radnor Township have arrested a man accused of trying to lure three students outside an elementary school. It happened around 6:30 p.m. Wednesday at the intersection of West Wayne and Arbordale Avenues near Wayne Elementary School in Delaware County. 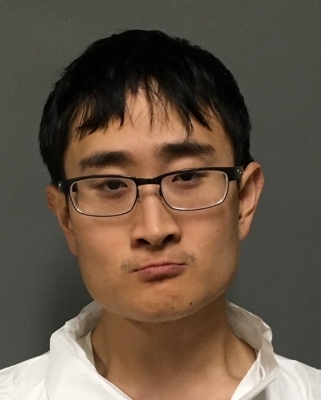 Police say that 26-year-old Daniel Lee of Wayne approached a boy and his two sisters ages 10, 9, and 8. He asked them about their school and teachers. He then asked them them about the woods and an abandoned house he was about to visit. When Lee approached the children a second time, their parents had arrived and called 911. Lee's parents say that he is autistic and is not a danger. He just likes to talk to children. He is being held on $100,000 bail, pending a psychological evaluation. The New Jersey State Senate voted on Thursday to override Gov. Chris Christie's veto for the first time since he took office in 2010. The vote was 27-10 with three Republicans voting with the Democrats. There have been over 50 prior attempts to override one of Christie's vetoes. The bill in question would require law enforcement agencies to be notified if a prospective gun buyer sought to expunge their mental health records. Christie supported a version of the bill that would notify law enforcement when anyone sought to expunge mental health records, not just potential gun buyers. The State Assembly also has to vote on the override, but have not yet scheduled a vote.